Sorry, some specials not available on holidays. Two different sauces per order. Sorry no carry outs and must purchase beverage. See what our chefs have up their sleeves! 3 Tacos served with tortilla chips and salsa. Market Prices. Please allow an approximate 20 minute cook time. 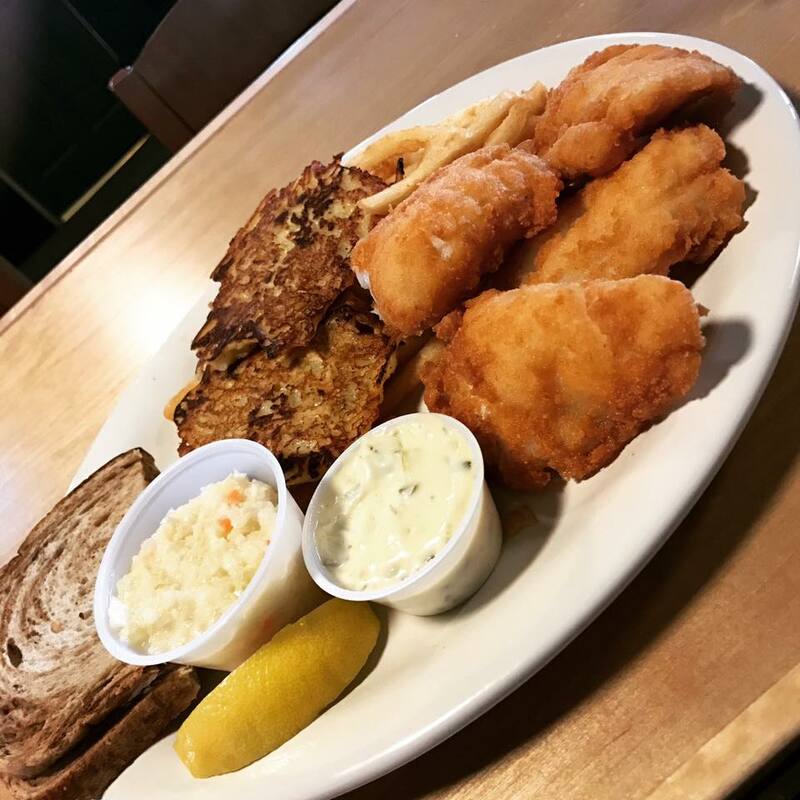 All fish frys are lightly breaded and served with rye bread, coleslaw, tarter sauce, lemon and your choice of French fries or homemade potato pancakes. Served with au jus and your choice of potato. Add sauteed mushrooms 2.95.